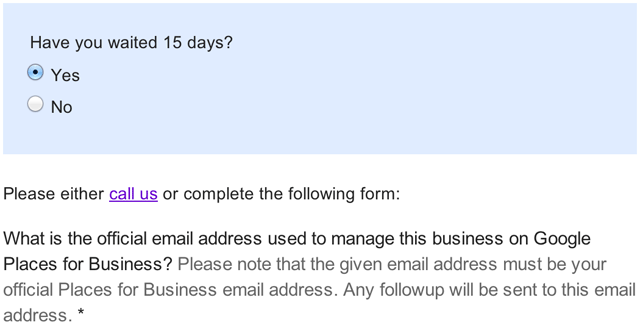 Jade Wang mentioned that a specific person can contact the Google Maps support team in a Google Maps Help thread, and linked to this support form. 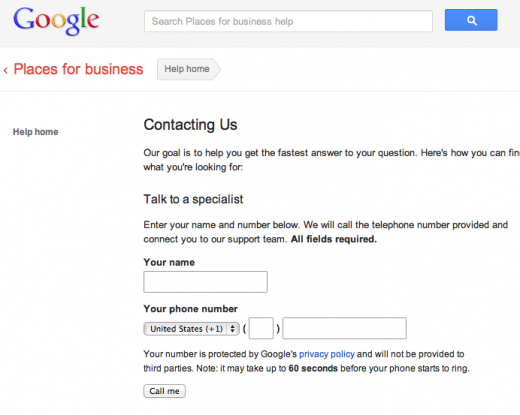 If you click through the options, you may get to a way for Google to contact you via phone. If you have issues verifying your business on Google Local, then you have the option to speak with a Google representative over the phone. I kid you not. Mike Blumenthal also spotted this, so we are both not dreaming. You enter your name and your phone number and Google should call you within 60 seconds. How is that for service? I have not tried it but Mike did and it worked. Who would have thought? 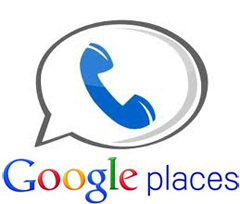 Phone support for Google Maps Local Listings.